In what could be Aurora Cannabis Inc (TSX:ACB) (OTCQB:ACBFF) (FRA:21P) best junior acquisition to date, the company has seized control of the hemp market in Europe. 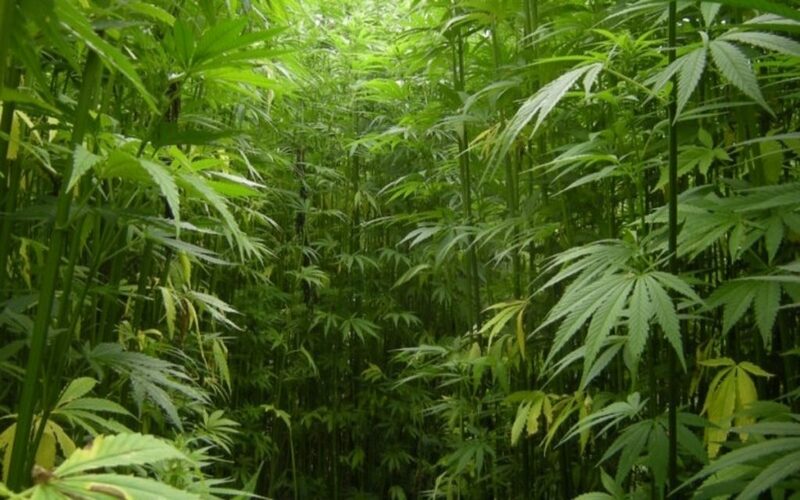 Today, the company announced it has acquired Europe’s largest producer, processor and supplier of certified organic hemp and hemp products, Agropro UAB, as well as hemp processor and distributor Borela UAB. Agropro currently has 1,600 hectares (4,000 acres) under contract, potentially yielding more than 1,000,000 kg of organic hemp, with optionality to expand to more than 3,000 hectares across Lithuania, Latvia, Estonia, and Poland. As both companies focused exclusively on hemp seed-based products to supply trans-continental markets, substantial quantities of CBD containing hemp biomass were left unused each year. Now that Aurora Cannabis has swooped in, they will better maximize Agropro UAB/Borela UAB assets by utilizing the discarded cannabidiol for their medical cannabis portfolio. That includes tinctures, gelcaps and oral strip applications. The strategy of CBD extraction will work alongside Agorpro’s core business—hemp seed contracting and processing. Hemp seed & oil is gaining popularity in the marketplace as a rich provider of important Omega 3 & 6 fatty acids. Traditionally, ocean vertebrates (mainly fish) were a primary source of these acids. But with the world’s ocean bodies increasingly riddled with pollution and radioactivity (no, Fukushima hasn’t gone away—it’s only gone underground, away from the news cycle), heightened environmental awareness is driving the shift towards alternative sources (hemp competes with flaxseed, chia seed, soy beans and walnuts). Furthermore, I definitely see long-term potential for future segue into the lucrative industrial material market, where hemp is currently under-applied. Hempcrete, as it is known, has tremendous untapped building applications including superior insulating and moisture barrier qualities, while being structurally adequate enough to support inside walls. Hemp is one the world’s densest cultivatable biomasses, and grows effortlessly with infinitely faster harvest cycles than forest plantation. It is much more environmentally friendly as well. Perhaps the best part is the price tag. Aurora Cannabis purchased 100% of the issued and outstanding shares of Agropro UAB and Borela UAB for total cash consideration of C$8.1 million equivalent, and just C$1.4 million in common ACB stock. Based on the 5-day VWAP as of September 10, 2018, that comes out to approximately 166,000 shares—a mere pittance in relation to its 1 billion fully-diluted share structure. ACB will also refinance existing debt totaling C$3.1 million equivalent, and provide a finder’s fee totaling C$2.3 million equivalent. Of all the deals Aurora Cannabis has secured in 2018, this is perhaps my favorite. For a mere $15 million all-in acquisition cost (purchase price, share distribution, debt, finder’s fee), the company has purchased Europe’s largest certified organic hemp producers, which segues ACB perfectly into continental CBD extraction and distribution markets. As we’ve stated in the past, Aurora Cannabis has an uncanny penchant for acquiring smaller deals and turning them into productive assets which punch well above their original purchase weight. Along with Aurora’s strategic 52.7% interest in Hempco Co., ACB is now has a leading presence in nutraceutical hemp seed markets. The acquisition should be extremely complimentary for both its medical cannabis division, and burgeoning health food portfolio.